£7995 pp, £945 single supplement. A fantastic adventure to discover the fascinating diversity of Chilean birdlife amid spectacular scenery. 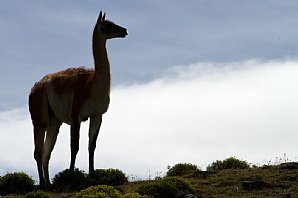 The country holds many different habitats, and we tour from the high Andes and arid desert of central parts near Santiago, to Pacific islands and the birds of the cooling Humboldt current, and finally the tundra and sub-Antarctic rainforest of Tierra del Fuego, and glacial waters of the far south. 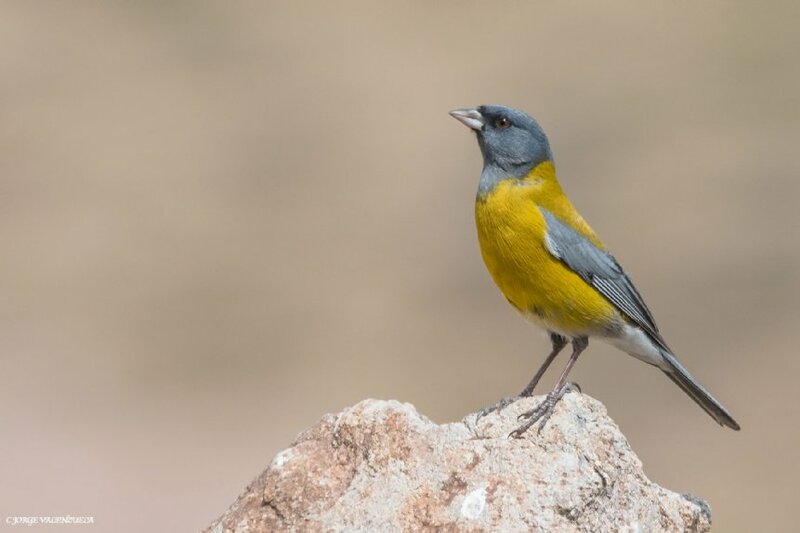 Birding in Chile can frequently be breath-taking, and with around 530 species including many of the most spectacular and desirable in the world, this is a wonderful destination, and for the British birder, truly a ‘lifetime experience’! 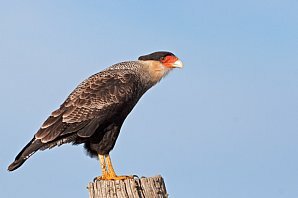 This holiday covers all the key birding destinations including Tierra del Fuego, and also includes internal flights for your comfort, along with a number of pelagic and other boat trips, to give a well-rounded experience in the company of a very experienced Tour Leader, and a member of our team to accompany you from the UK. 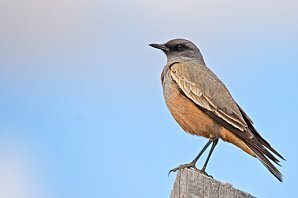 In the central Andes we look for Diademed Sandpiper-Plover and Andean Condor, and in scrub gullies Chilean Tinamou, Chilean Mockingbird and skulking White-throated and Dusky Tapaculos. 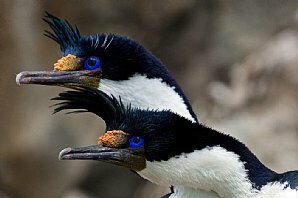 At the coast and on a memorable pelagic voyage from Valparaiso we seek Inca Tern, Humboldt Penguin, Seaside Cinclodes, Peruvian Booby, Guanay Cormorant and Grey Gull, plus shorebirds and waterfowl in productive wetlands. Next we fly south to Chiloe Island for four nights. There are many endemics, just a few being Black-throated Huet-huet, Chucao, Ochre-flanked and Magellanic Tapaculos, Patagonian Tyrant, Des Murs Wiretail, Chilean Pigeon, Magellanic Woodpecker, Chilean Hawk and Green-backed Firecrown, plus interesting mammals including rare Darwin's Fox, Pudu Deer (second smallest deer in the world) and the Kodkod, a very rare woodland cat. 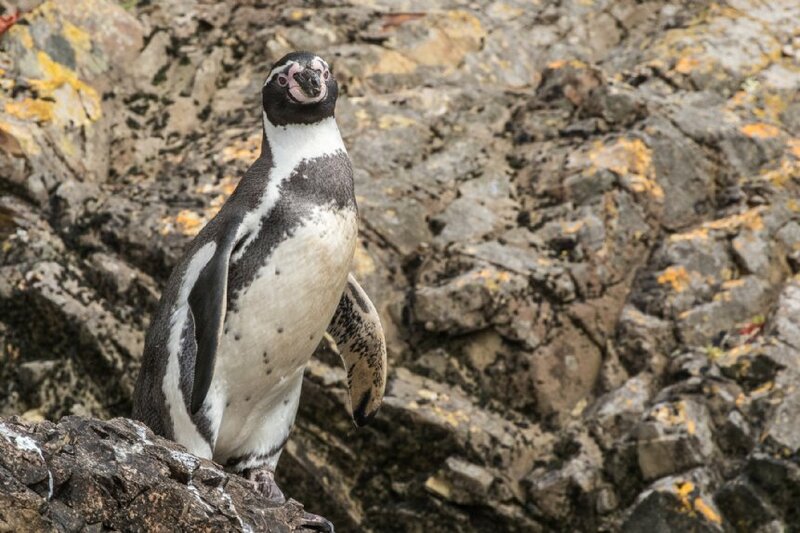 A boat trip at Puñihuil takes us to one of the few mixed breeding colonies of Humboldt and Magellanic Penguins. Sealions, dolphins, petrels, shearwaters, pelicans and terns, wildlife here is spectacular. 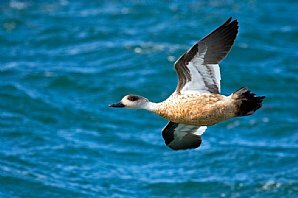 A second internal flight takes us to Punta Arenas in the far south, for one of the world’s most sought-after waders, Magellanic Plover. 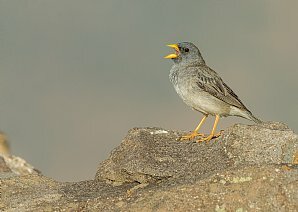 Other specialities include Lesser Rhea, Least Seedsnipe, Band-tailed Earthcreeper, Chocolate-vented Tyrant and White-bridled (Canary-winged) Finch. 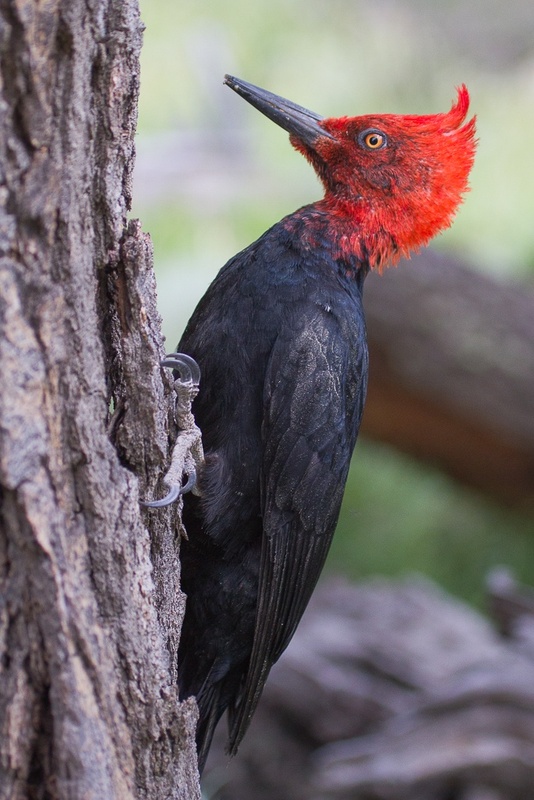 At one of the most scenic places on Earth, Torres del Paine, we hope to see Black-chested Buzzard, Southern and Chimango Caracara, Ashy-headed and Upland Goose, Spectacled Duck, South American Snipe, Austral Parakeet, Austral Pygmy Owl, Striped Woodpecker, Chilean Flicker, striking Magellanic Woodpecker, Thorn-tailed Rayadito, White-throated Treerunner and Austral Blackbird. 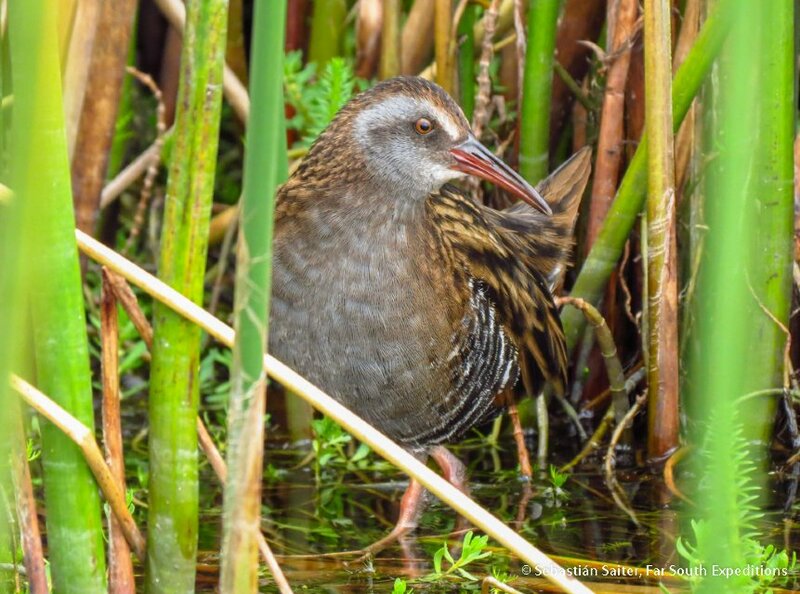 Lakes hold a wealth of waterfowl including Great, Silvery and White-tufted Grebe, Andean Duck, Silver Teal and recently re-discovered Austral Rail, and we should see Cinereous Harrier and Black-chested BuzzardEagle. We scan fast-flowing rivers for remarkable Torrent Duck, and there may be the chance to watch Puma. 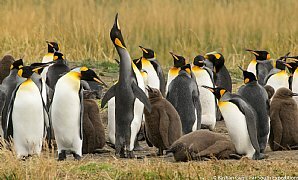 Our final, spectacular destination is Tierra del Fuego and Magdalena Island, in the Straits of Magellan, where we see the huge colony of over 150,000 Magellanic Penguin. Other seabirds include Imperial and Rock Cormorant, Dolphin and Kelp Gull, Chilean Skua and South American Tern. 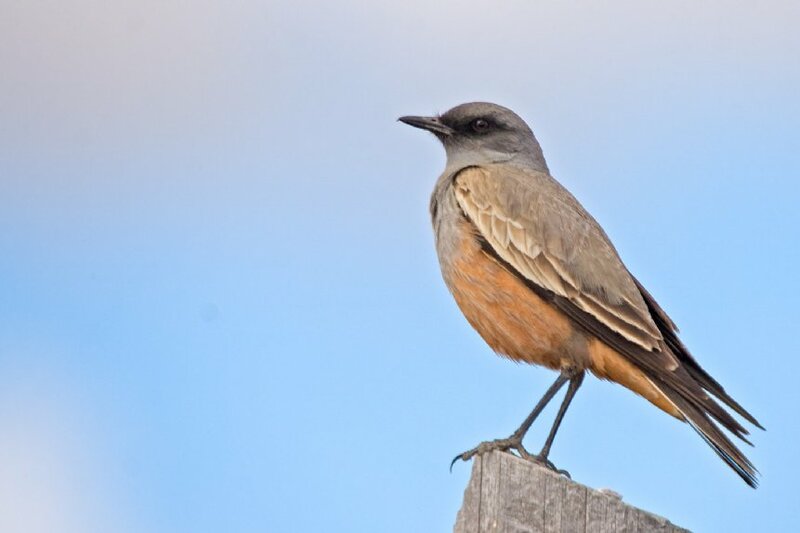 We also target Patagonian Tinamou, King Penguin, Ruddy-headed Goose, Rufous-chested Dotterel, Austral Canastero, Magellanic Plover and stunning Whitebridled Finch. 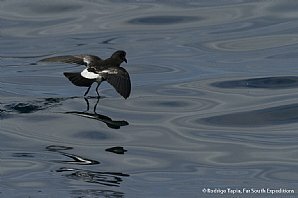 At sea we watch for Black-browed Albatross, Southern Giant Petrel, Cape and White-chinned Petrel, Sooty Shearwater, Wilson’s Storm-Petrel, Magellanic Diving Petrel, Chilean Skua, Kelp, Dolphin and Brown-hooded Gulls and South American Tern. We also intend to take advantage of some key cultural experiences as we travel, and with conditions in the central valleys ideal for viniculture, we explore winemaking in Chile. We enjoy wine tasting sessions at Loma Larga and Casas del Bosque vineyards; both produce outstanding and world-class Pinot Noirs, Sauvignon Blancs and Chardonnays. 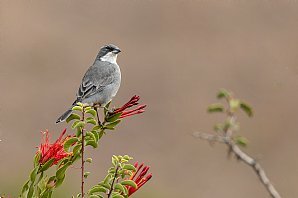 The valleys of central Chile contain the largest number of bird species in the country, and many endemic and specialities of the Mediterranean region of Chile can be found around the vineyards. Exceptional birding accompanied by world-class wines! On Chiloe Island, we visit wooden Chiloe churches, made entirely of native timber with extensive use of wooden shingle, a unique architectural phenomenon in the Americas. 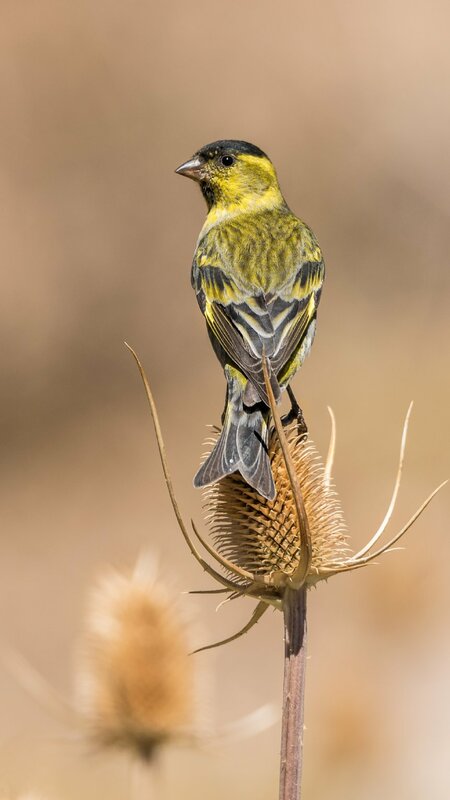 This holiday is designed to show you all the best birding areas, featuring internal flights to avoid the longest road journeys, pelagic voyages to find exceptional southern seabirds, experienced and attentive Leaders throughout, and some memorable cultural experiences on an unforgettable holiday. 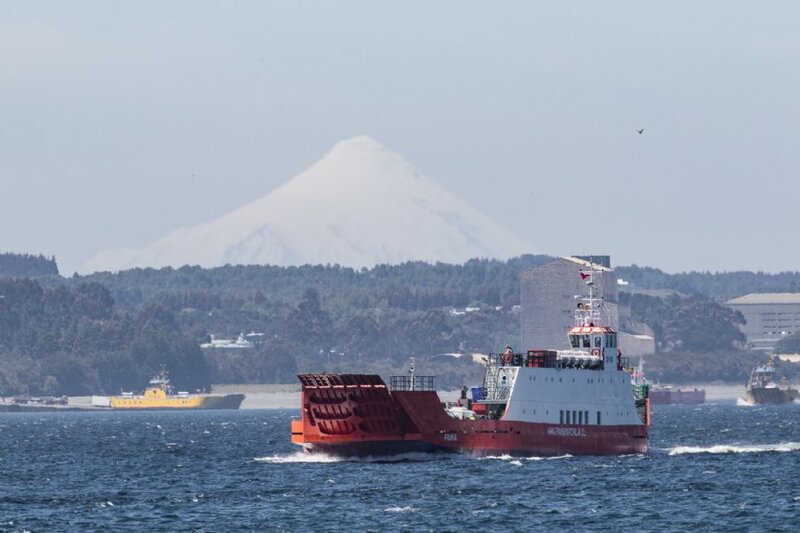 Finally may we point out that due to the long-leadtime for this holiday, it is likely that this will be our only journey to Chile in the next few years, so please don't delay, our party will be limited to twelve clients! After arrival at Santiago airport we meet Rodrigo, our Leader, and transfer to our hotel. 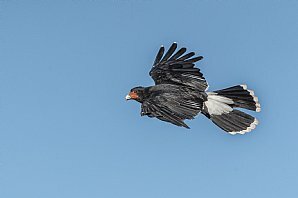 During the afternoon we will have an optional first excursion in the vicinity of Farellones for several mountain species including perhaps our first Andean Condor, Mountain Caracara, White-sided Hillstar, Rufous-banded and Creamy-rumped Miners, Cinereous, Black-fronted, White-browed and Rufous-naped Ground-tyrants plus Greater Yellow-Finch, Grey-hooded and Band-tailed Sierra-Finch. 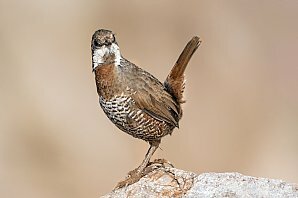 We will also look for endemic Chilean Tinamou and Chilean Mockingbird and might have the chance of seeing Variable Hawk and Aplomado Falcon. Overnight for two nights Hotel Galerías, Santiago. We have a full day to explore the surroundings of El Yeso reservoir in the Andean foothills, and will hopefully be rewarded with sightings of endemic Crag Chilia plus Andean Condor, Black-chested Buzzard-Eagle, and several other Andean specialities such as Black-winged Ground Dove, Grey-flanked Cinclodes, Black-billed Shrike-Tyrant and Yellow-rumped Siskin. 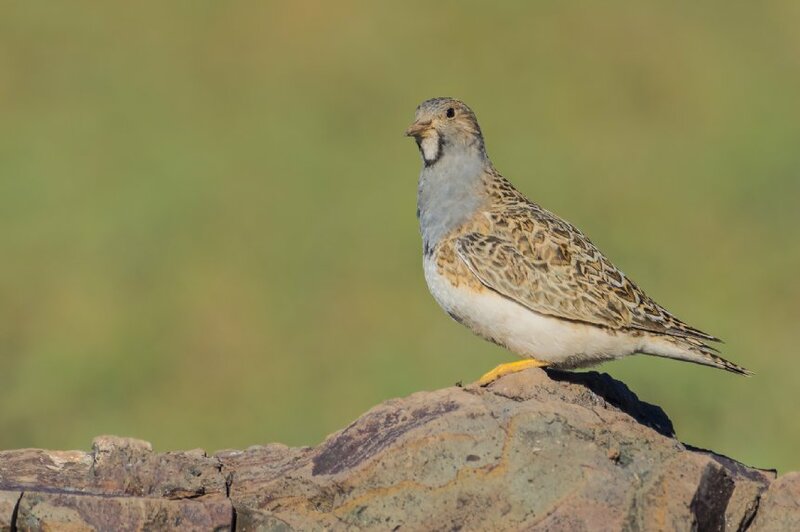 Careful scanning of grasslands and streams may produce the stunning Diademed Sandpiper-Plover, our main target species of the day. El Yeso valley is a lovely mountain spot where we also have good chances for flocks of Mountain Parakeet. During the afternoon we visit another valley, Baños Morales. 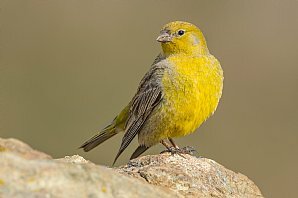 This location offers great chances for several other specialities including Mountain Caracara, White-sided Hillstar, Rufous-banded and Creamy-rumped Miners, Cinereous, Black-fronted, White-browed and Rufous-naped Ground Tyrants plus Greater Yellow Finch and Grey-hooded and Band-tailed Sierra Finches. We will drive a short distance north of Santiago to visit marshes around the locality of Batuco. 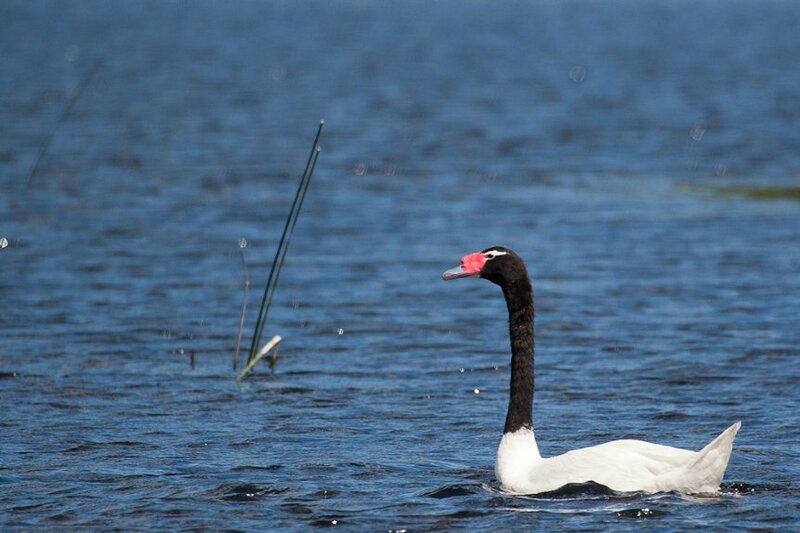 Our targets here will be Cocoi Heron, Rosy-billed Pochard, White-cheeked Pintail and South American Painted Snipe. In the afternoon, we will head to the productive rocky coast north of Valparaiso. 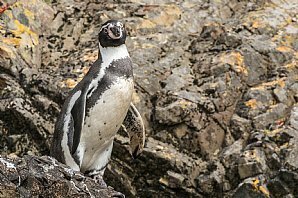 We have planned a visit to a protected breeding colony of the endangered Humboldt Penguin, and endemic Seaside Cinclodes and the delightful Marine Otter are both possible here as well. 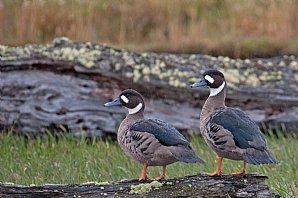 Before ending the day, we stop by a coastal marsh to see a variety of waterfowl including Red Shoveler, Yellow-billed Pintail, Speckled Teal and Chiloe Wigeon, all three lowland coot species (Red-gartered, White-winged and Red-fronted), Spot-flanked Gallinule and Plumbeous Rail, which is surprisingly quite easy to spot as it often walks in the open. Overnight for three nights at Hotel Oceanic, Viña del Mar or similar. The Coastal Range separates Chile’s central valley from the Pacific coast and we drive across it through La Dormida Pass. The highest peak hereabouts, Mount La Campana (The ‘Bell’), dominates the entire scene; this area receives enough moisture from the ocean to sustain broad-leaf forests and a shrub community known as ‘matorral’ (Chile’s equivalent to California’s chaparral). During the morning we will bird at La Campana National Park, where we will be looking for an interesting array of passerines all endemic to Chile: Dusky-tailed Canastero, Moustached Turca, Dusky Tapaculo and White-throated Tapaculo. 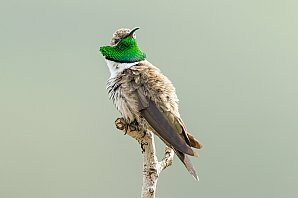 We are also likely to encounter the remarkable Giant Hummingbird, Striped Woodpecker, Austral Pygmy Owl and Chilean Pigeon. Later in the evening, we enjoy a couple of wine tasting sessions at Loma Larga and Casas del Bosque vineyards; both produce outstanding and world-class Pinot Noirs, Sauvignon Blancs and Chardonnays, a grand ending to the day! 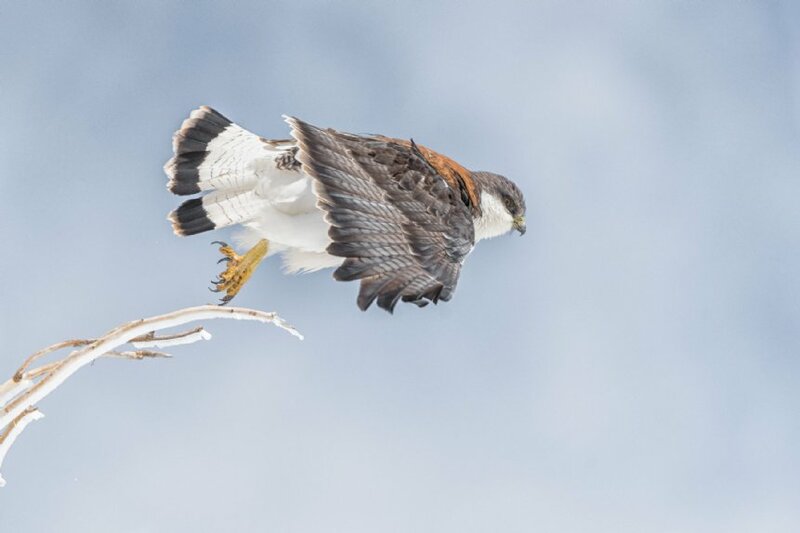 Today we make an unforgettable visit to the cold and productive waters of the Humboldt Current, considered one of the world’s finest pelagic birding destinations. 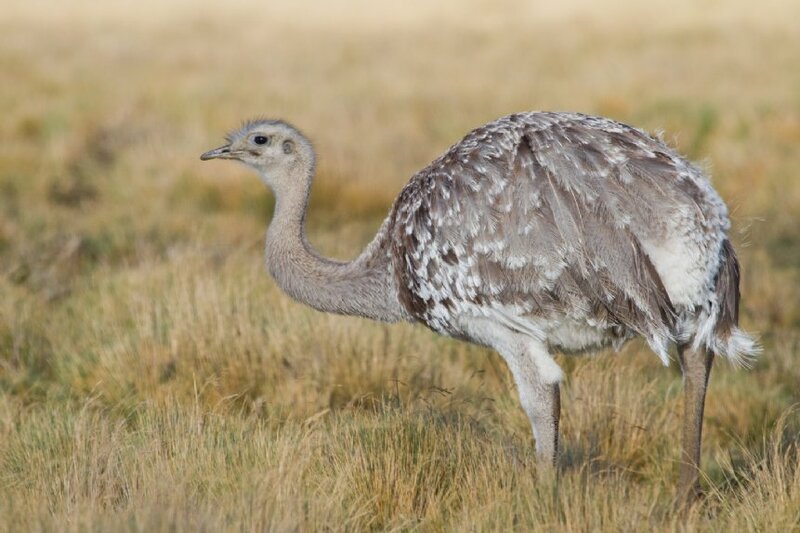 Here, we should see a great variety of tubenoses including up to six albatross species: Black-browed, Salvin’s, Buller’s, Chatham, Wandering (Antipodean) and both Northern and Southern Royal Albatross. We also hope to find Southern and Northern Giant Petrel, Cape, Masatierra, White-chinned and Westland Petrel, Pink-footed, Buller’s and Sooty Shearwater, Wilson’s Storm Petrel, and Peruvian Diving Petrel. 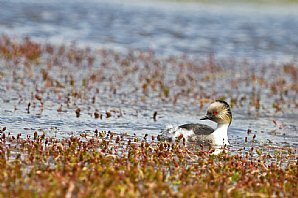 Other seabirds we may encounter include Red (Grey) Phalarope, Sabine’s Gull and Chilean Skua. 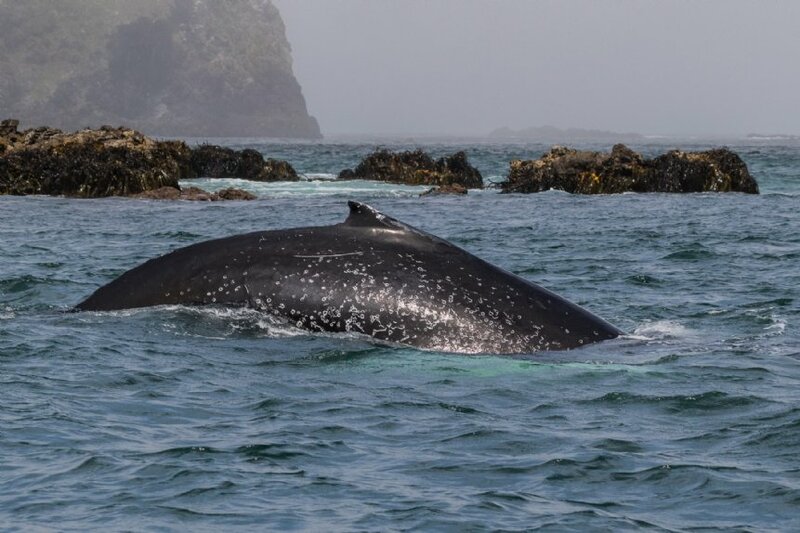 There are good chances of cetaceans although they are always difficult to predict; on recent trips we have recorded Dusky Dolphin, Southern Right Whale Dolphin, and Orca! After a whole morning at sea, we enjoy the delicious seafood of Valparaiso. 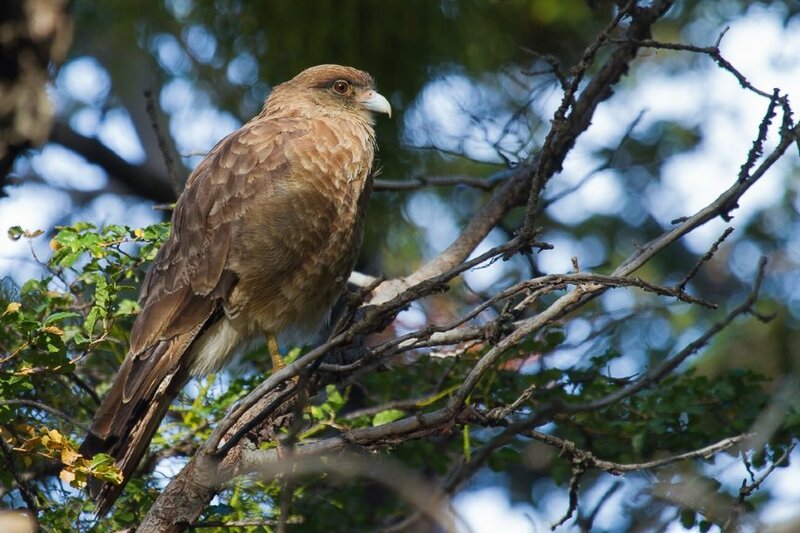 During the afternoon we explore the productive Maipo river mouth and surrounding coastal wetlands, including El Peral Reserve. 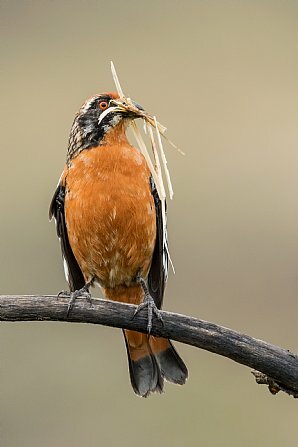 Our target birds here will be cryptic-colored Stripe-backed Bittern, brood-parasitic Black-headed Duck and striking Many-colored Rush Tyrant; we will also have a chance to find scarce and local Ticking Doradito. 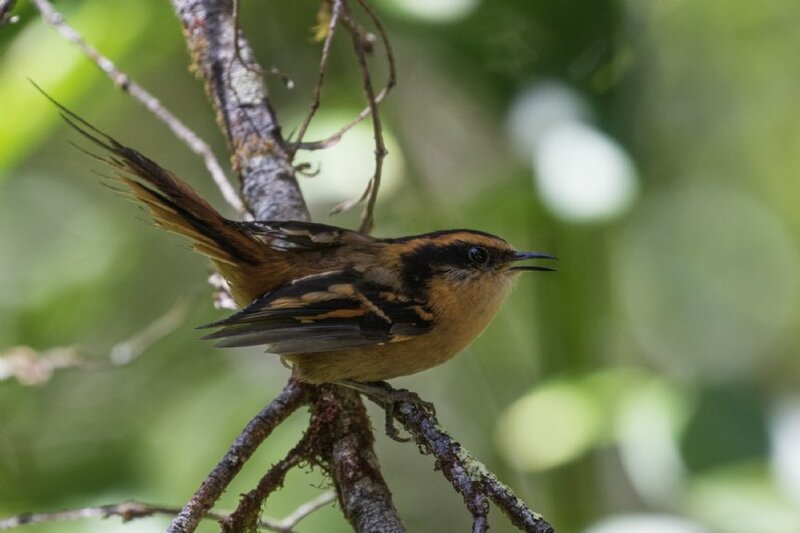 We have the whole day to explore the pristine Tepuhueico woodlands, part of the unique ecosystem known as Valdivian Temperate Rainforest. Tepuhueico Park has the reputation of being a highly reliable place to see critically endangered Chilean endemic Darwin's Fox. 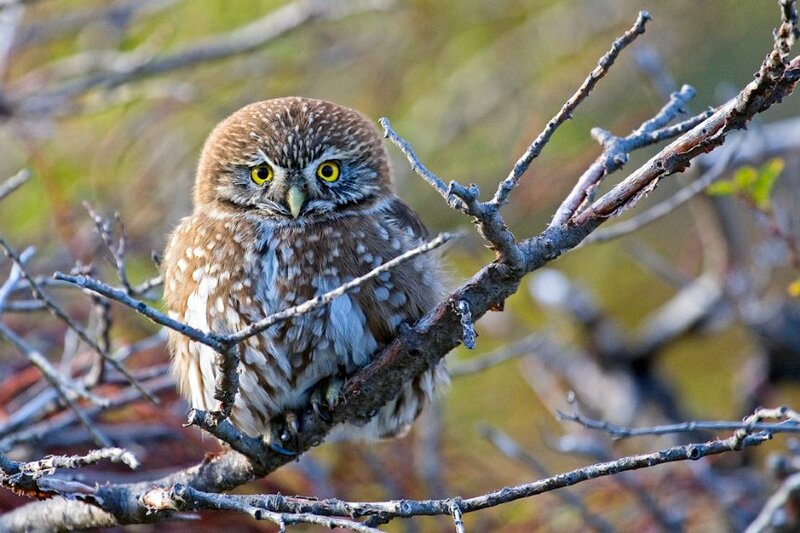 A few hundred individuals survive in the ecozone between dense temperate forests and the coast. We also take interesting walks in search of Pudu (the second smallest deer in the world) and the 'Kodkod' or 'Guigna' (a very rare woodland cat). While searching for this array of enigmatic and poorly-known mammals, we should find several endemic birds of the Patagonian woodlands such as Black-throated Huet-huet, Chucao, Ochre-flanked and Magellanic Tapaculos, Patagonian Tyrant, Des Murs Wiretail, Chilean Pigeon, Magellanic Woodpecker, Chilean Hawk and Green-backed Firecrown. 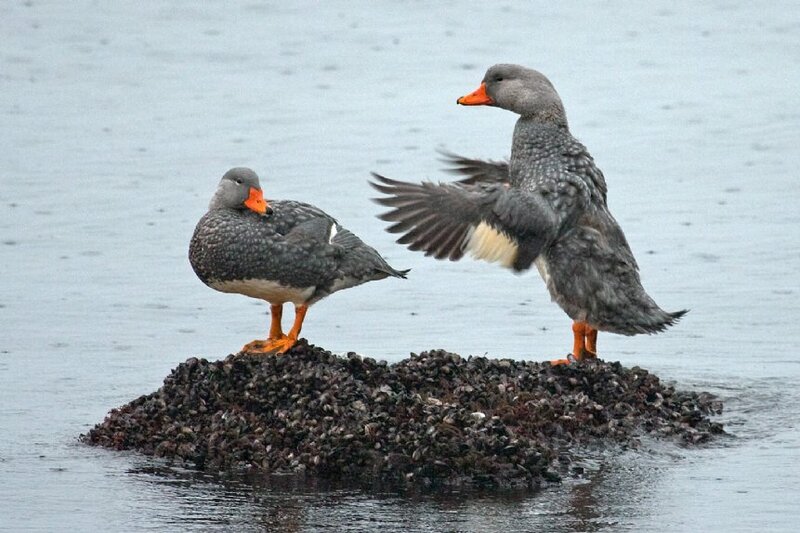 After some morning birding around the lodge, we head to the northern part of the island. We stop at several mudflats and bays, which hold an important part of the world population of Hudsonian Godwit, which winters in extensive bays of Patagonia together with Red Knot and a variety of other shorebirds. We also have the opportunity to admire local culture, starting with the peculiar island architecture comprising wooden houses and churches, with characteristic walls and roofs covered with shingles. After lunch we´ll drive east across the island to reach the picturesque towns in the protected eastern coast. Here we will concentrate on cultural features including the famous stilt houses set right on the rocky shore, and the local wooden churches. During the afternoon we visit the churches of Dalcahue, Tenaún and Castro, Chiloé Island's largest town. These three churches are representative of 18th century colonial wooden construction, inspired by shipbuilding. Overnight for two nights at Hotel Ancud, or similar. We have an early start aiming towards the wild west coast of the island, to take a boat trip to the interesting location of Puñihuil. Here we will circumnavigate an islet to see one of the few mixed breeding colonies of Humboldt and Magellanic Penguins. 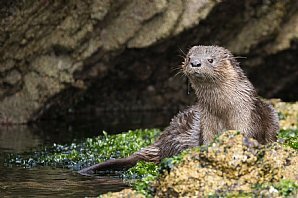 Marine Otter, Magellanic Cormorant, Kelp Goose and Flightless Steamer Duck are all usually found here, too. 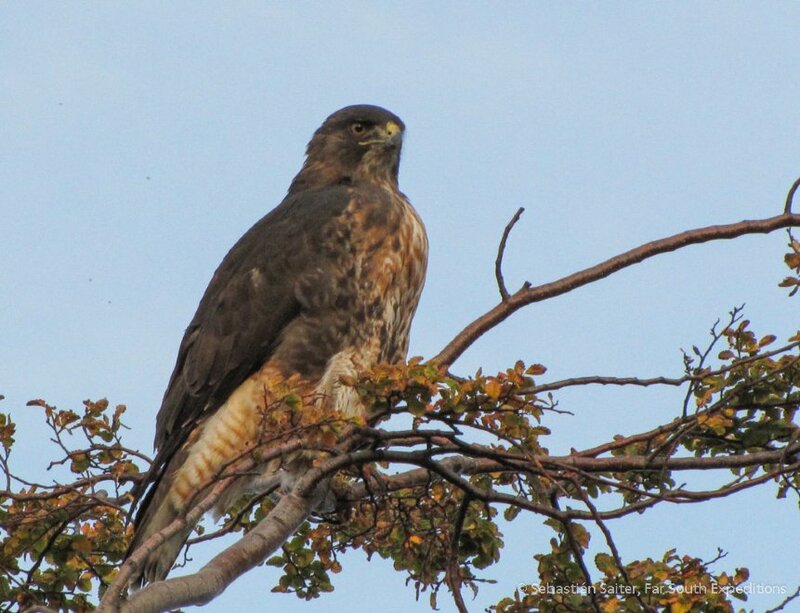 Later we explore part of the nearby Chepu River, a scenic watercourse bordered by lush and dense forest. 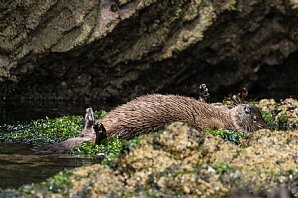 Its clear waters protect a critically endangered species, Southern River Otter, or 'Huillin'. We will make efforts to see this mammal, and hopefully be rewarded for our patience. We also have chances for rare Rufous-tailed Hawk and endemic Slender-billed Parakeet. 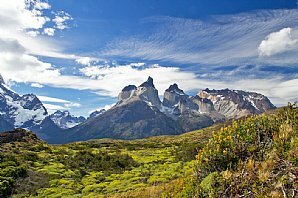 Today we enjoy an exciting and productive drive towards Torres del Paine National Park. 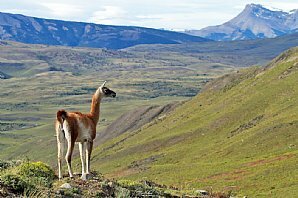 We will be fascinated by the changing landscapes and vegetation comprising the Patagonian steppes, the Chilean Fjords and the southern Andes. On route, we will check at some alkaline ponds to attempt to find one of the world’s most sought-after waders, Magellanic Plover. 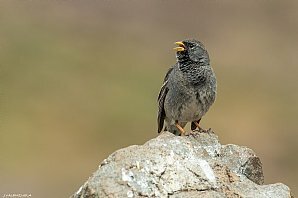 We will also look for other Patagonian specialities including Lesser Rhea, Least Seedsnipe, Band-tailed Earthcreeper, Chocolate-vented Tyrant and White-bridled (Canary-winged) Finch. 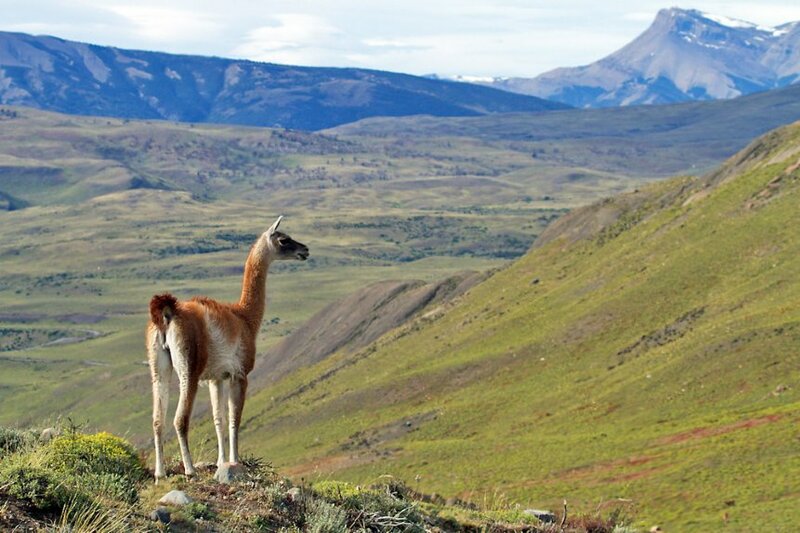 Large herds of Guanaco (related to the Camel) will be a common sight along the drive towards Puerto Natales and other mammals potentially include Southern Grey Fox, Patagonian Hairy Armadillo and Patagonian Hog-nosed Skunk. The scenic town of Puerto Natales will be a delightful place to study the abundance of waterfowl occurring along the coast of Last Hope Fjord. Lots of Black-necked and Coscoroba Swan, together with Chiloe Wigeon, Yellow-billed Teal, Yellow-billed Pintail and Crested Duck breed and feed here. 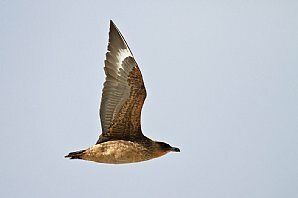 This coast, influenced by the Pacific Ocean, is also frequented by Imperial Cormorant, Chilean Skua, Dolphin Gull and South American Tern. Occasionally pods of the endemic Chilean Dolphin are found in these waters. We continue northwards to reach one of the most scenic places on Earth, Torres del Paine. 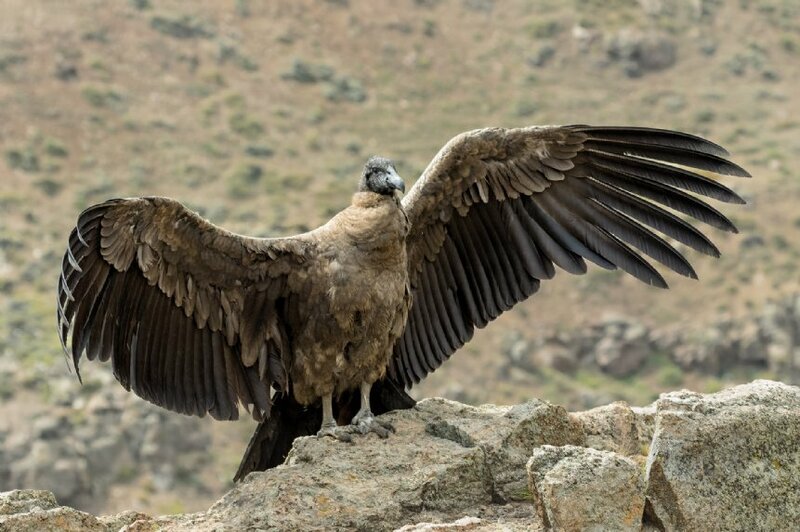 The Andean foothills and scrub are home to Black-chested Buzzard, Southern and Chimango Caracara, but the most iconic and memorable moment will be seeing Andean Condor with the stunning scenery behind. Our lodge is located in the southern fringes of the park and has good access to productive habitats where we expect to find Ashy-headed and Upland Geese, Spectacled Duck, South American Snipe, Austral Parakeet, Austral Pygmy Owl and Dark-bellied Cinclodes. 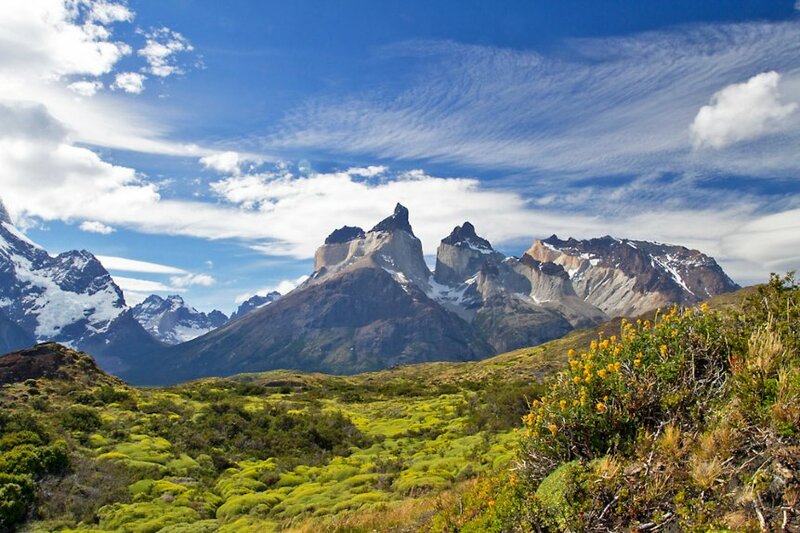 Overnight for two nights at Hotel Rio Serrano, Torres del Paine. 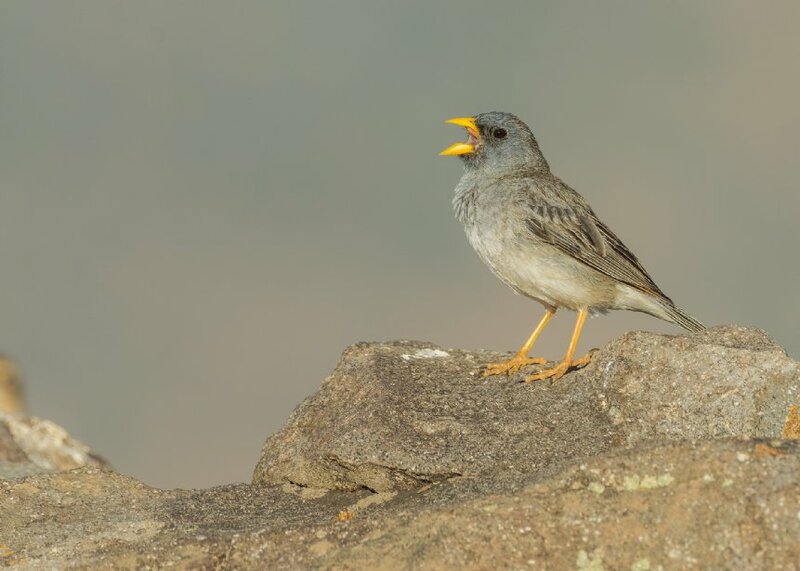 We make an early start to explore this vast national park and its many birding habitats. We begin by exploring its western flank, and bird the sub-Antarctic Beech (Nothofagus) forests. 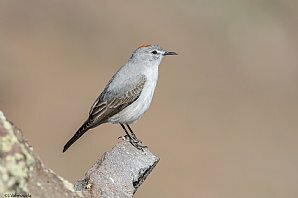 Here we will look for Austral Parakeet, Striped Woodpecker, Chilean Flicker, striking Magellanic Woodpecker, Thorn-tailed Rayadito, White-throated Treerunner and Austral Blackbird. Occasionally Chilean Hawk is seen here stalking the flocking parakeets. The scenery around Grey Lake and its namesake glacier is simply breathtaking. During the rest of the day we explore the lakes in the eastern side of the park searching for a wealth of waterfowl including Great, Silvery and White-tufted Grebe, Andean Duck, Silver Teal plus Red-gartered and White-winged Coot. The reed-fringed lagoons can be very interesting, and with some luck, elusive and recently re-discovered Austral Rail might be seen. We also expect to see Cinereous Harrier and Black-chested Buzzard-Eagle hovering in search for prey, and we scan the fast-flowing rivers hoping to find remarkable Torrent Duck. Although our time in the park is limited, there is a reasonable chance of seeing a Puma, especially in the eastern side. 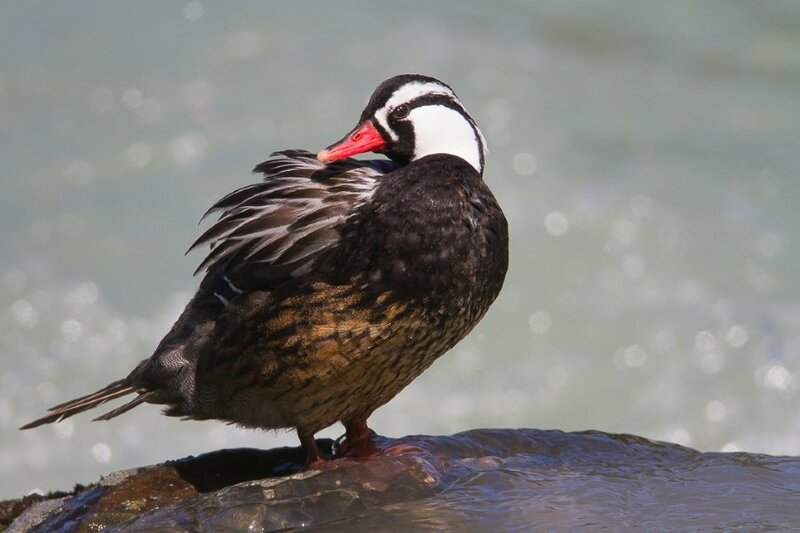 We begin the final leg of our adventure with a ferry journey across the waters of the Magellan Straits, and explore the huge Bahía Inútil - Spanish for 'Useless Bay' - for a wealth of seabirds, waterfowl and other shorebirds. 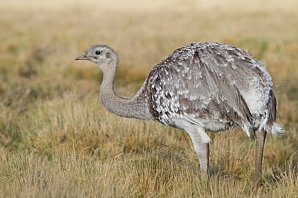 We concentrate on finding Flightless and Flying Steamer-Duck, and Kelp Goose as well as King, Imperial and Rock Cormorant. 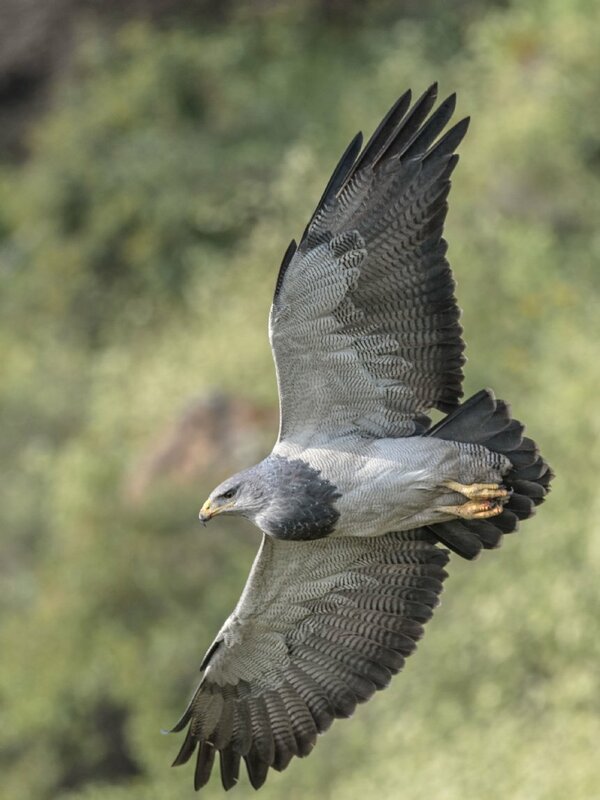 En-route, we’ll check the meadows and fields for endangered Ruddy-headed Goose as well as for potential raptors including Variable Hawk, and Aplomado and Peregrine Falcon. Great Horned Owl nests in some ravines, and there might be a chance of spotting this largest of Central and South American owls, second largest in the Americas. 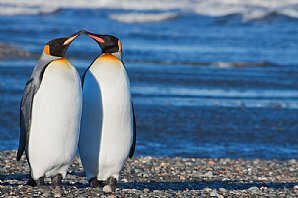 The main target of our visit to this scenic part of the island is to visit the only continental King Penguin breeding colony. 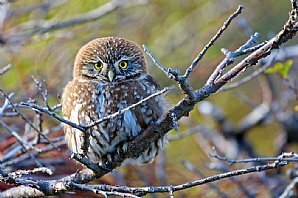 This splendid species congregates year-round on this site and in the past few years they have successfully re-started breeding here. On our way back to Porvenir, we explore the shrubby slopes and moorlands of the Baquedano Hills, searching for specialties such as Rufous-chested Dotterel, Austral Canastero, and stunning White-bridled Finch. Overnight Yendegaia House, Porvenir. During the morning we visit alkaline lagoons and ponds east of the village. Our target here is local and rare Magellanic Plover. 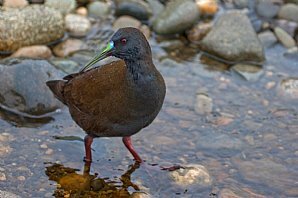 This enigmatic wader looks similar to a little dove rather than a shorebird, and is often seen feeding by ‘scratching’ the mud with its bright pink legs. Other birds of the area include Two-banded Plover, Wilson’’s Phalarope, abundant White-rumped Sandpiper, Short-billed Miner and the ubiquitous Austral Negrito. Later we take the two-hour ferry journey back towards Punta Arenas; while crossing the mythical Straits of Magellan, we will see a variety of tubenoses such as Black-browed Albatross, Southern Giant Petrel, Cape and White-chinned Petrel, Sooty Shearwater, Wilson’s Storm-Petrel and Magellanic Diving Petrel. We will see other seabirds including Chilean Skua, Kelp, Dolphin and Brown-hooded Gulls and South American Tern. 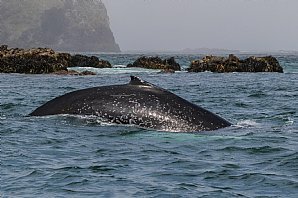 Possible marine mammals will include the common South American Sea Lion, Sei Whale and playful pods of Peale’s Dolphin. Overnight Hotel Diego de Almagro, Punta Arenas. Return flight to Santiago and international flight to the UK. Arrival in UK morning of Day 18, Thursday 24th October. * Scheduled return flights between London Heathrow and Santiago de Chile. 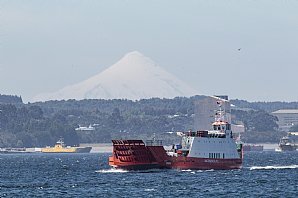 Domestic flights Santiago – Puerto Montt – Punta Arenas - Santiago. Airport taxes and transfers. * Ground transportation as outlined including all transportation in Chile in a modern and spacious air-conditioned vehicle. 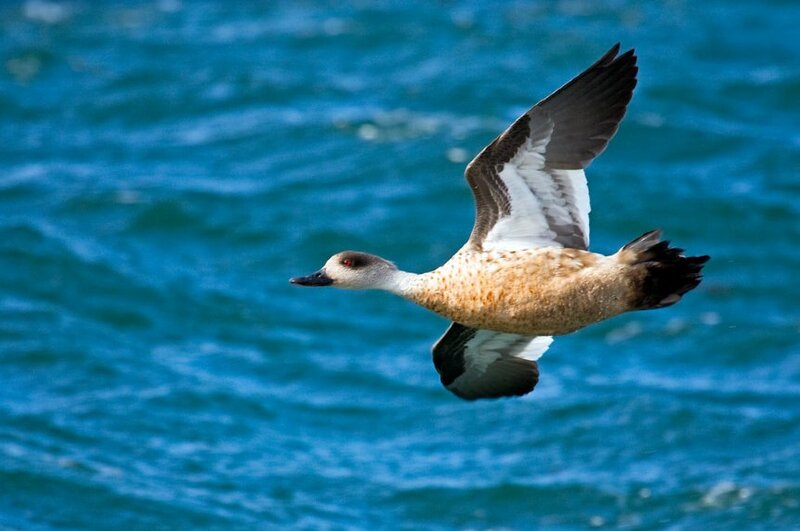 * One pelagic trip, plus boat and ferry rides as described in the itinerary. * Services of driver and Tour Leader throughout. * Visits and wine tastings at the specified wineries. FREE! 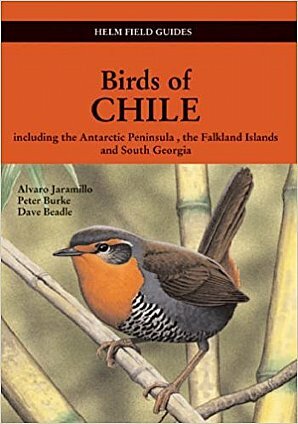 Field Guide to the Birds of Chile, Including the Antarctic Peninsula, the Falkland Islands and South Georgia, by A Jaramillo, P Burke, D Beadle, London, Helm 2003, is included in your holiday price. Accommodation is en-suite in comfortable hotels. Some important detail including final confirmation with hotels can only be confirmed nearer the time, though the hotels quoted reflect the standard we are choosing. Food Breakfast is usually served as a buffet, with a wide choice. Lunch and dinner usually features traditional local dishes. For convenience, we will often take packed lunches when in the field. Meals include water/soft drink, and snacks and beverages during outings. Vegetarian and other diets are welcome. A large water dispenser will be available on our bus, please bring your own water bottle so you can refill as required. Walking is generally light/moderate. There is some uphill track and road walking, and an average level of fitness is required. We suggest to bring comfortable walking boots. Wellington boots are suggested for hikes in damp terrain such as El Yeso reservoir and Chiloé Island. Weather will be mixed. Santiago and Viña del Mar have Mediterranean weather with up to 28ºC. However, the mornings can be slightly chilly usually around 5-10ºC at dawn. 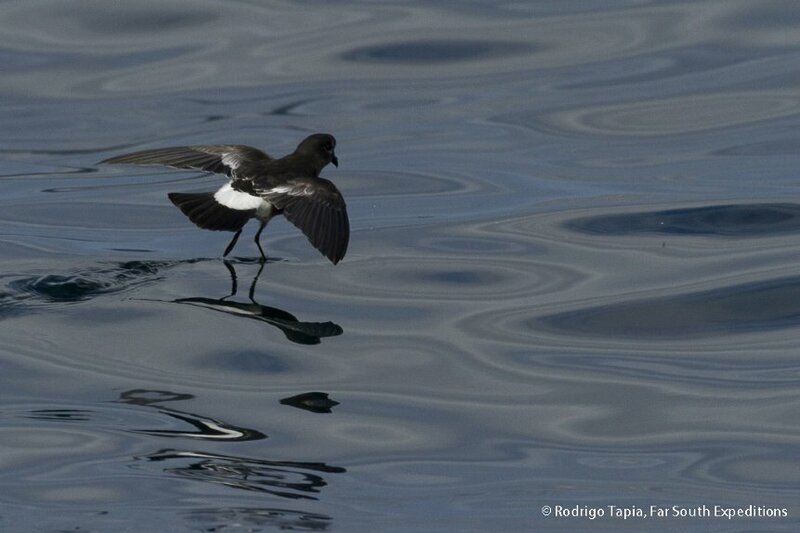 We anticipate cool temperatures during our pelagic trip off Valparaiso and our morning outings in the Andes. Expect lower temperatures as we move southwards. 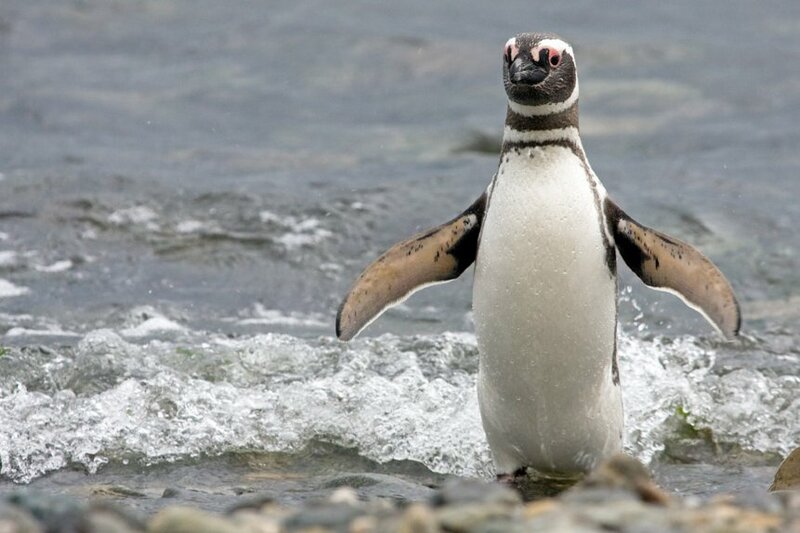 Chiloé Island has temperatures ranging from 10 - 20ºC and we can expect showers there. 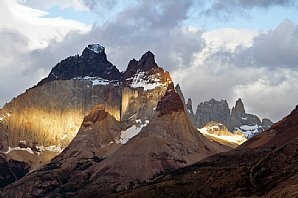 Patagonia is not particularly cold, with temperatures around 5 - 12ºC, however the chill factor due to prevailing strong westerly winds can produce temperatures ranging from 0 - 5ºC. Insects There are no major issues with biting insects. Occasionally there may be a few mosquitos in the woodlands of Chiloe Island. Bring a insect repellent just in case. Flights are by scheduled airline, from London Heathrow. Return flight is an overnight departure, arriving back at Heathrow early afternoon. 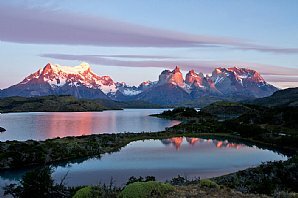 Should you wish to extend your stay in Chile, either before or after your holiday, we will be happy to arrange this for you. All arrangements will be tailored to your requirements, please contact us. 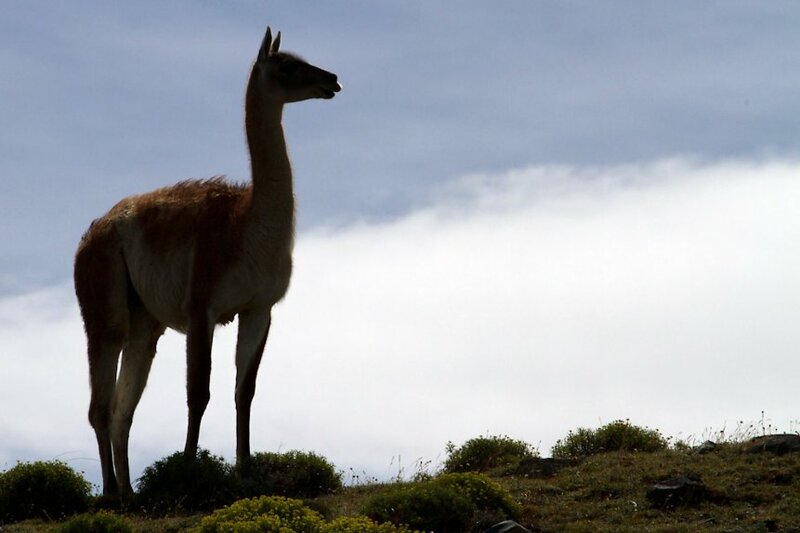 Altitude considerations Trip elevations range between sea level and 1,500 m. The maximum altitude is at El Yeaso Reservoir (2,600m) and Valle Nevado (3,000m) for a brief period of time. 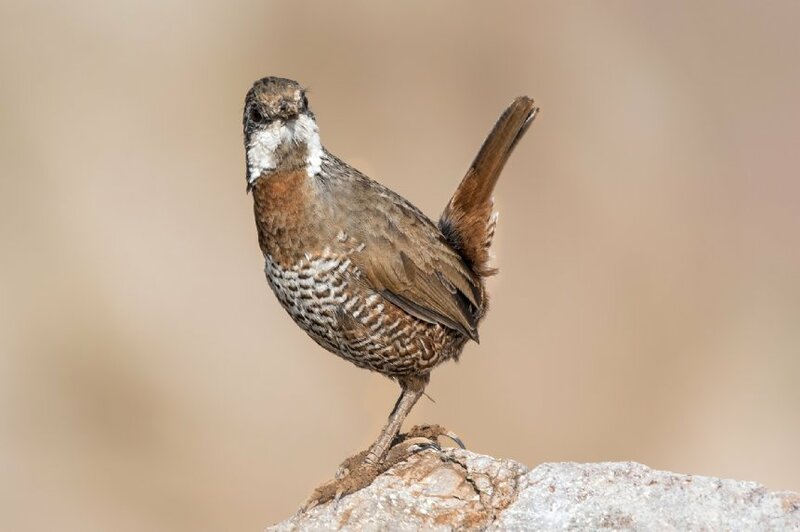 As a child, Rodrigo began birding from the Chilean coast to the Andes around his home patch, acquiring a good deal of field experience with the birds of central Chile including most endemics, and later expanding his knowledge to the rest of the country. This early passion evolved into his career and led him into studying Biology at Universidad Católica de Valparaíso and study with Cornell Lab of Ornithology. 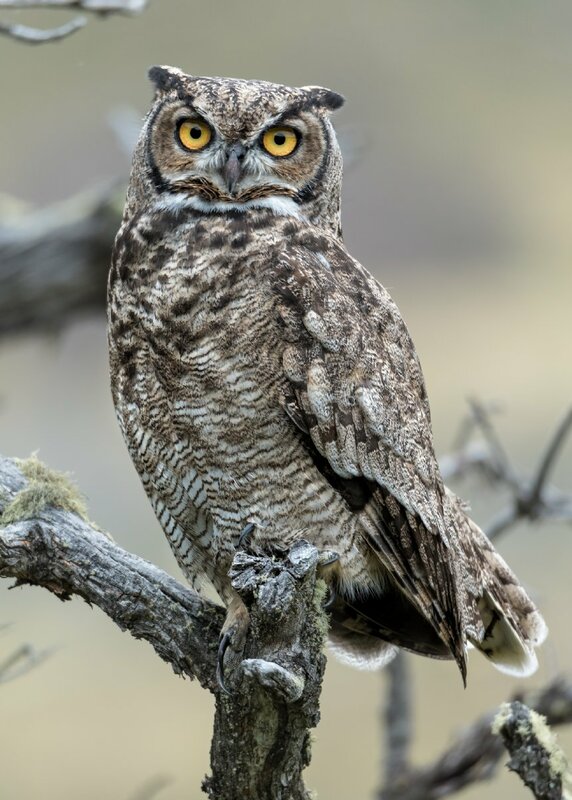 Rodrigo has explored Chile’s whole length from the northern Altiplano to Cape Horn while conducting ornithological research and guiding birding tours and pelagics since 1989, and he works full-time as a birding, wildlife and wildlife-photo trip leader. 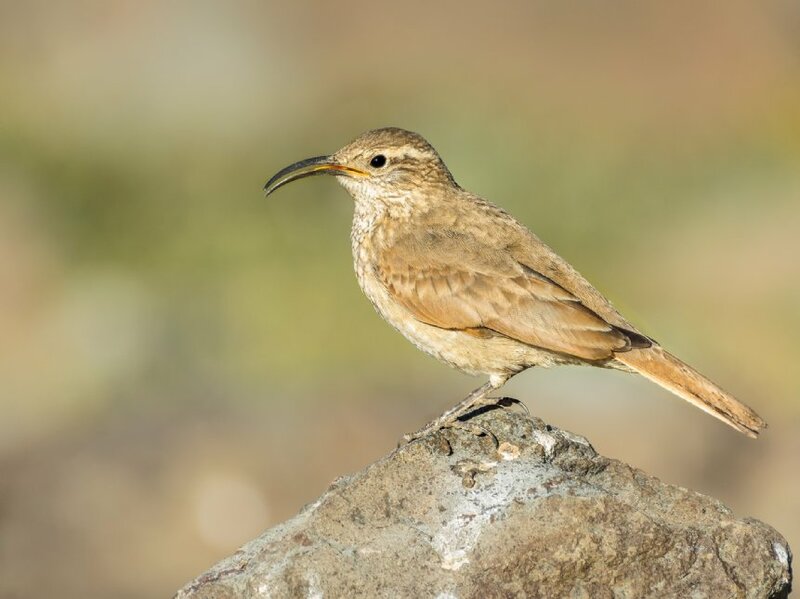 He studied birds in the wetlands of the Aconcagua River and Mantagua for three years, gathering experience with shorebirds, plovers, waders and coastal seabirds. 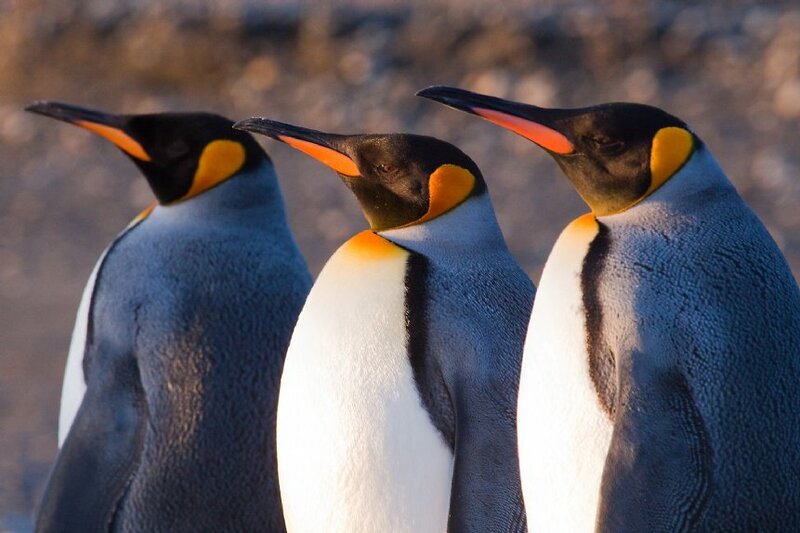 Rodrigo travelled to Antarctica for the first time in 1991, and has worked for eight seasons in the White Continent as an expedition leader, lecturer and zodiac driver. These years of sailing across the Drake Passage, together with the experience gathered in pelagic birding off his hometown of Valparaíso in the Pacific coast of central Chile gave him hundreds of hours with albatrosses, petrels and other seabirds, a group of birds which has always captivated him. 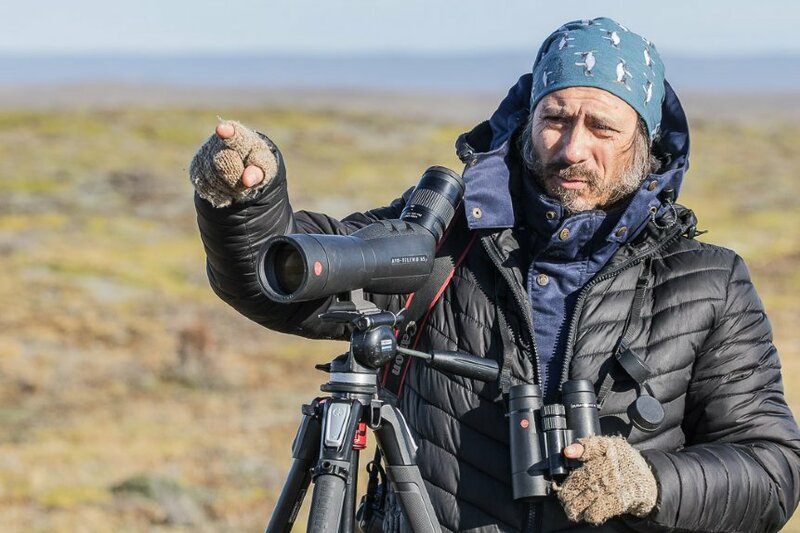 A member of the Chilean Ornithologists Union, Rodrigo has been involved in several environmental education projects with children, has led workshops and lectures about birds and birding, and has worked to try and get the public attention on birds, their knowledge and conservation, and birdwatching as a sustainable economic activity. 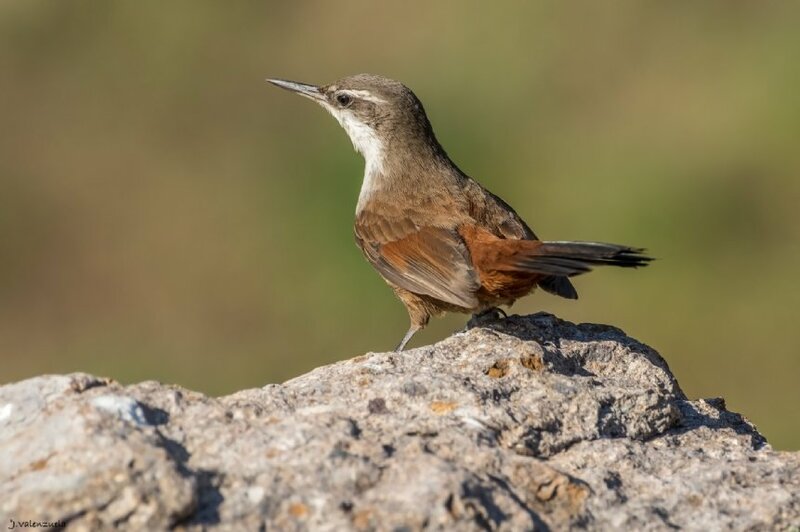 In this context he inspired the Festival de Aves de Chile, in 2008, the country's first ever bird festival, an event that is still celebrated every year in the city of Viña del Mar and has spurred similar community events throughout the country. 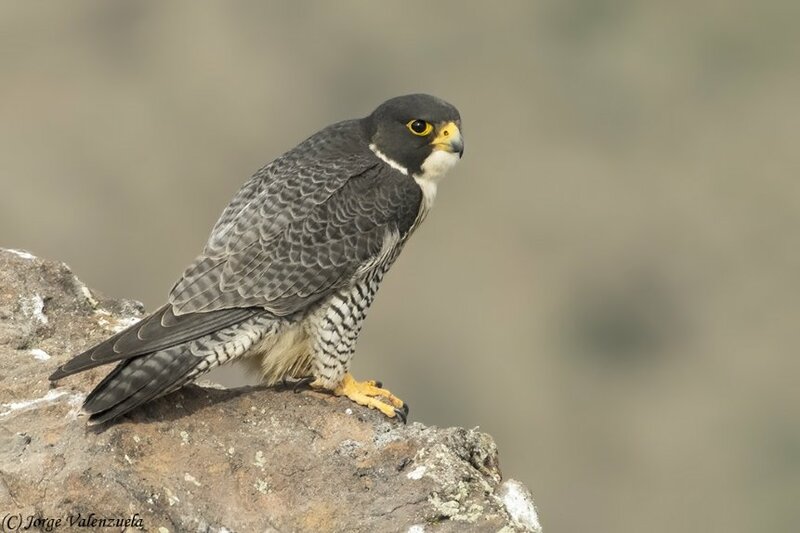 Toby is a very experienced birder, both in Scotland and Overseas. 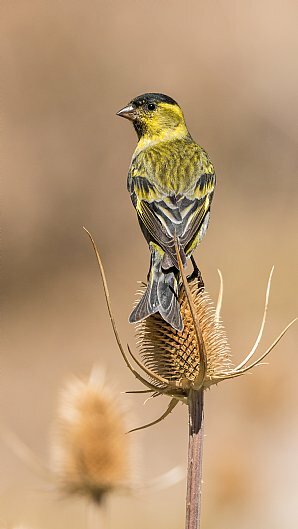 Already very popular with our groups and his fellow guides, Toby is a top birder with a great sense of humour and endless enthusiasm. We know you will enjoy birding with him in Chile!